The Kerbl Safari Air Cat Tree is a small, strong and compact cat play tree, that has a cute and cosy little tunnel included as well! Cats love to tuck themselves off inside a tunnel and the Kerbl Safari Air Cat Tree caters for this natural urge puurfectly as the spacious tunnel can happily cater for cat breeds of all sizes comfortably. 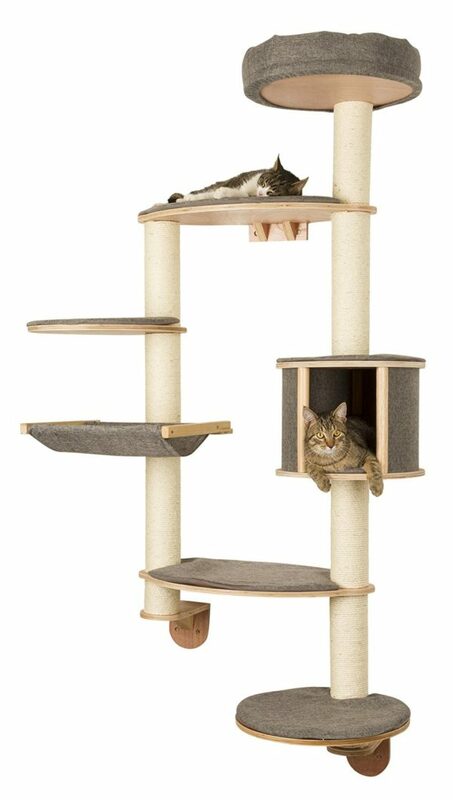 The ramp leads up to a penthouse platform bed which is great for perching and the dangling playing toy also add an extra level of fun to this cool and compact cat tree. This is a great allrounder and puurfect for those on a budget who still wish to provide many elements of fun for their precious feline.